If you fancy a holiday devoted to art or to history, Italy is just about the best destination you could choose. You could lose yourself in the glories of an art city, take a high-brow accompanied tour, or plan your own art-themed itinerary. Italy is also the home of great opera venues and music festivals - from classical to jazz - so culture-lovers are really spoilt for choice. There are various ways to go about organising this kind of holiday. You can plan your own cultural break, from an art weekend to a touring itinerary, you can pay for a classy version of a package holiday, accompanied by experts, or you can travel independently but book guides locally - a flexible and cost-efficient compromise. For an artistic city break, several Italian cities have enough to fill a weekend, with more than one historic art gallery. Florence and Rome are obvious examples, with more world-class art than you could possibly squeeze into a short break. 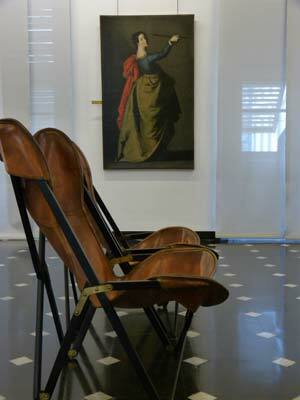 Venice has several venues packed with art by the great Venetian artists, and some contemporary art exhibitions. The Venice Biennale, in odd-numbered years, offers more contemporary art than anyone could ever wish to see. The Italy Heaven Guide to Venice is a thorough introduction to the city's sights and cultural attractions. Naples has fine art in churches and galleries, and also a very important archaeological museum boasting high-quality Roman art. Milan has several good art galleries. There are other cities with one or two masterpieces, a gallery or two and a few other things to see and do - for example: Verona, Padua, Siena. I'd particularly rate Genoa as a slightly unorthodox destination, making a change from the traditional art cities. The destinations suggested above are in northern and central Italy. South of Naples there are fewer great works of art from the last thousand years, excepting one or two paintings by Caravaggio and Antonello da Messina. In the south of Italy and Sicily, there are, however, marvellous ruins of the classical world, and ancient masterpieces - like the Riace bronzes in Reggio Calabria - which are worth a journey on their own. There is also plenty of interesting architecture, from the enigmatic fortresses of Frederick II to crumbling, splendid Baroque town centres. Some folk art - the painted Sicilian carts, for example - is fascinating. Probably the most culturally-wealthy city in the south of Italy is Palermo, with its rich artistic legacies of the Norman and Arab eras. Sicily has many destinations packed with history, of which Siracusa is the most varied, while the temples of Agrigento and Selinunte are the most remarkable. One very appealing option for a short art break is to pick an attractive destination with just one or two out-and-out masterpieces. You can appreciate them without feeling rushed or submerged in a sea of competing attractions. Cefalù, for example, is an amiable Sicilian seaside resort with amazing mosaic in the Norman cathedral, and one painting by Antonello da Messina in the little town museum. 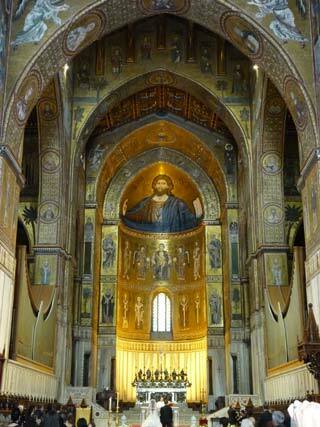 Padua is famous for Giotto's frescoes in the Scrovegni Chapel. Vicenza is a place of pilgrimage for fans of Palladio's architecture. The risk of this plan is finding the attractions closed (an irritating but not uncommon occurence) or with limited access (visitors are only allowed 20 minutes in the Scrovegni Chapel). Make every attempt to check the latest information on opening hours, and book ahead if necessary. For art-lovers, a fun way of combining art appreciation with sightseeing in Italy is to design your own itinerary following in the footsteps of a favourite artist. Happily, a lot of artists and art patrons, especially in the Renaissance, had the good taste to live or work in Italy's most beautiful cities (often beautified, of course, thanks to those same patrons). Raffaello Sanzio, known as Raphael, for example, was born in Urbino, before moving on to create some of his most famous works in Florence and Rome. Caravaggio would be a good artist around whom to base an extensive tour - for a really ambitious holiday you could begin by following his footsteps from Milan down to Rome. On the run after his misdeeds in Rome, he then spent time in Naples, Malta and Sicily before dying in Porto Ercole, Tuscany. In the Itineraries section of this website, I suggest some self-guided tours of Italy, generally with a high cultural and historical content - for example, an Art and Architecture of the Veneto tour. Italy hosts some very prestigious art and music events, from opera at the Roman Arena in Verona to contemporary art at the above-mentioned Venice Biennale. Cultural events like these make good holiday destinations, though you should book well ahead to guarantee good tickets and a good choice of accommodation. Whether you want to travel to the opera without the hassle of booking it, or to tour art galleries with a knowledgeable guide, there may be times when you'd rather someone else made all the arrangements. Full-blown specialist art holidays can be pricey, but some travellers feel they are worth it for the expertise, the travel-planning and for like-minded companionship. Some suggested companies are listed below - as usual, note that Italy Heaven cannot take responsibility for any other organisation. Be sure to read the itineraries closely, and before you book, check the firm's policies and cover in case things go wrong. If you are members or supporters of art organisations like the Art Fund, or museums, check the advertisements in your membership magazines, as some travel firms put on special tours, or offer reductions, for members. Martin Randall - Offering small-group tours led by experts, Martin Randall can offer a wide choice of Italy trips, from short opera breaks to week-long, accompanied Caravaggio tours. Kirker Holidays - Luxury short-break specialists with Italian trips including a Palladio tour and their own chamber music festival on the island of Ischia. The Ultimate Travel Company offer escorted cultural tours and holidays with themes such as 'Vasari and Michelangelo'. Specialtours, part of the same company, organises trips for organisations such as the Art Fund (which you can always join if you're not already a member). The Traveller - Historical and cultural tours with highly-qualified lecturers. There's a connection with the British Museum, and the tours often have a strong archaeological focus. 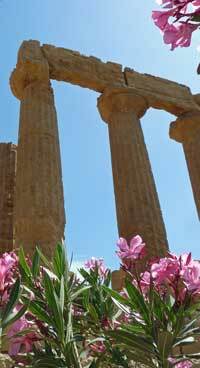 Typical Italy itineraries include tours of Magna Graecia and Byzantine Italy. Fine Art Travel - Bespoke luxury travel and a limited number of scheduled art tours each year. Noble Caledonia - One of the specialist cruise companies offering cultural cruises and holidays, including music-themed trips. Other companies are particularly strong on historical-archaeological cruises. See also Cruises for more cruising ideas. If you want to plan your own travels to suit yourself, but would appreciate an expert guided tour around a gallery or a city, it is possible to hire guides and arrange for private guided tours in most Italian destinations. There are also organisations operating regular small tours (just a few participants) which is a cheaper option. 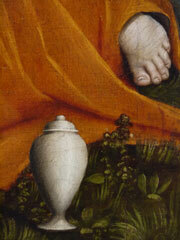 Context Travel - offer cultural, historic and art walking tours of Rome, Venice and Florence. Travellers can join an organised tour or book a private one. They have a good online presence, making your travel easy to plan. Viator - Not so intellectual, perhaps, but Viator offer a range of easily-bookable tours, day-trips and experiences. Some of their packages are only for the most timid, as independent travellers could easily plan their own excursion or museum admission much more cheaply. But others, such as wine tours and cookery classes, would be tricky to plan without help. Artviva offer a range of tours, with a strong presence in Florence, and even an 'authors and aristocrats' event.